The Moduluxe Bedroom Set is hand-crafted in sustainably sourced, American hardwood. A luxurious bedroom set that is as functional as it is breathtaking, the Moduluxe Bedroom Set is superb quality made to last. The Moduluxe Bedroom Set from Haiku Designs is about having it all. What does that mean? 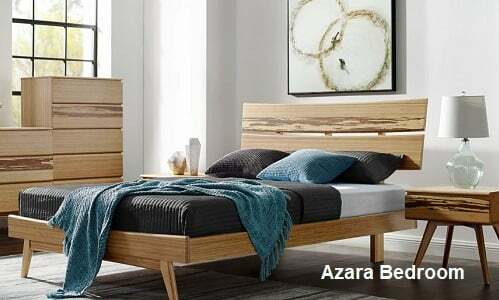 It means that you can now have a beautifully designed and constructed furniture piece that not only sets a tone of harmony, balance and beauty in your bedroom, but that is also made in a way that is in harmony with the environment using sustainable harvest North American hardwoods, non-toxic stains and handcrafted by skilled artisans at Copeland Furniture's environmentally friendly custom studio right here in America. 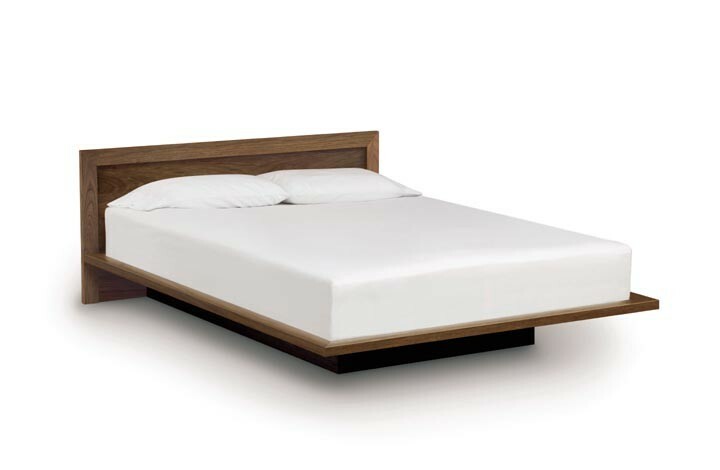 Featuring a clean, modern low-profile bed design, the Moduluxe is a true platform bed whereby the mattress sits on a wood platform, providing optimal mattress support. The whole bed is constructed with the unique “Floating Platform Bed” look whereby the bed appears to float above the floor, while at the same time being supported by a solid wood, recessed pedestal base. When matched with a louvered clapboard headboard, the overall look and feel of the bed are balanced, elegant and welcoming. The Moduluxe Nightstands offer light storage as well a space ideal for a bedside light or an alarm clock. The Moduluxe Shelf and Box Nightstands align with and act as an extension of the headboard. The Moduluxe One Drawer Nightstand offers a spacious drawer as well as a box beneath for additional storage. The Moduluxe Dressers and Chests provide generous storage capacity and a spacious top for various bedroom necessities or for décor. 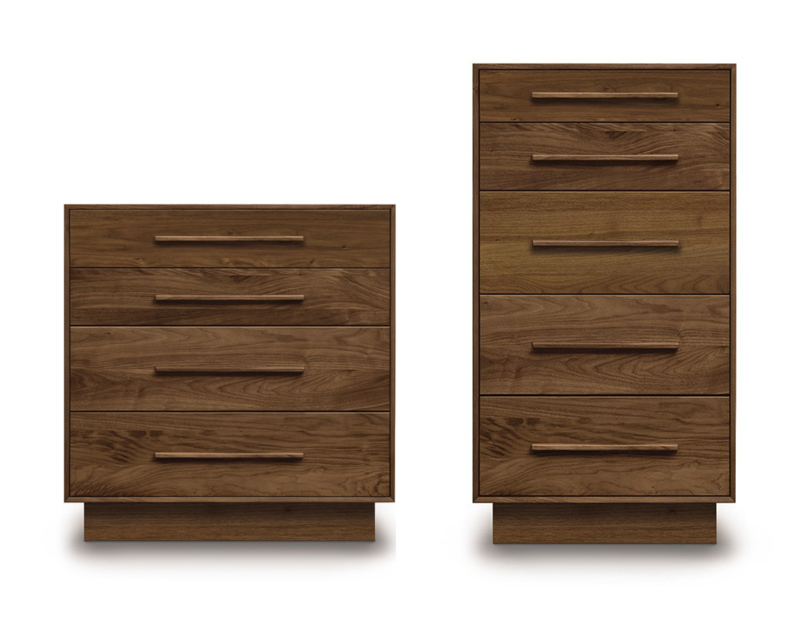 The Moduluxe Dressers and Chest are available in various sizes allowing you to customize your bedroom and choose the pieces ideal for your space and budget. The Moduluxe Bedroom Set is a luxurious expression of Copeland Furniture’s ongoing commitment to environmental sustainability. The Moduluxe Bedroom Set is American Made and crafted in 100% sustainably sourced hardwood. Available in a multitude of stains, the Moduluxe Bedroom Set is exquisite yet conscientious. I just wanted to let you know that we received the bed and mattress, put it together with ease and LOVE it more than anything! We can finally sleep all the way through the night, hardly have to turn from side to side (maybe 2X in one night! ), and it even LOOKS great! 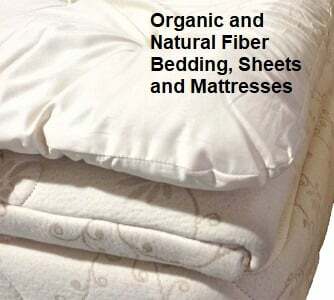 We want to thank you and your company for expediting out order. We spent our first night in our new home on the floor, but received the bed early the next morning! Our movers do not arrive until tomorrow, so the bed is the only thing we have here, and it has made our house a home!!! Thanks so much for your help and for really making us such a good deal on the bed and frame as well.